a small nectar-feeding tropical American bird that is able to hover and fly backward, typically having colorful iridescent plumage. 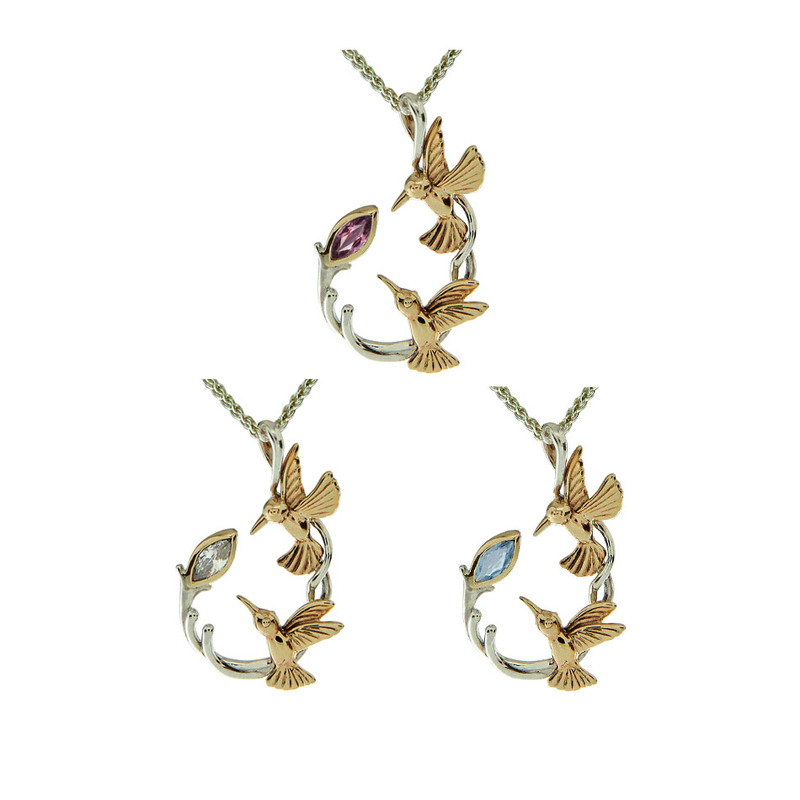 Double Hummingbird Pendant by Keith Jack have two beautiful hummingbirds in reach of some sweet nectar. This pendant is available in either all sterling silver or sterling silver with 10K Hummingbirds and bezel. 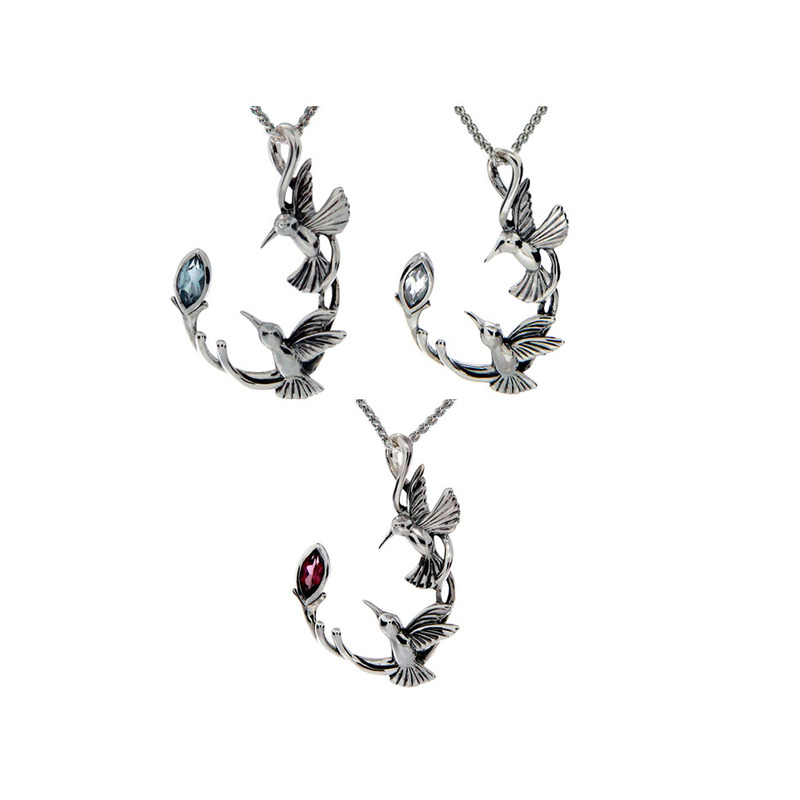 The pendant is 3/4” wide and 1.5” long available with a choice of three stunning gems - Blue Topaz, Rhodolite or White Topaz.